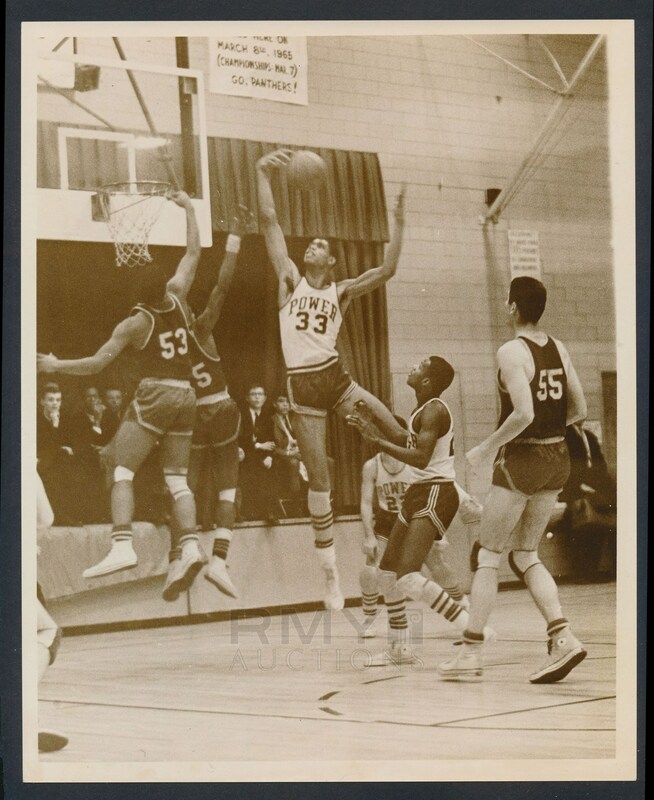 Large 1964-65 action photograph of Power Memorial High School standout Lew Alcindor as he sails above the rim to reject an opponent. A unique action photo in perfect condition, this is a fine piece of photography taken from courtside and blown up but still with tremendous detail. 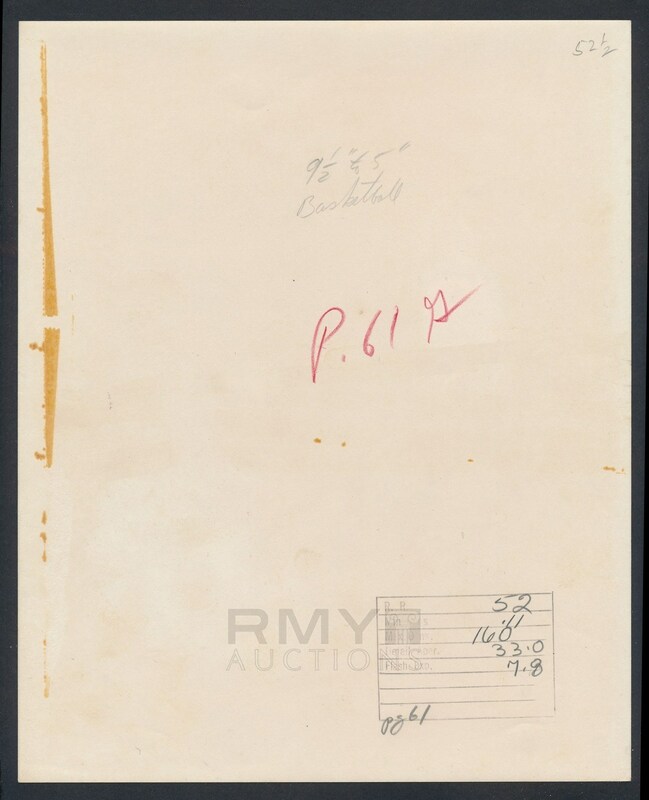 There are notes on the back and a stamp from an original newspaper photographer as well as remnants of a paper caption long lost, however the date of the image is secured by a poster in the background advertising the end of the year tournament with a date of March 7, 1965! Easily the finest image of Alcindor from high school we have seen!